Listed below are just our most popular accessories. 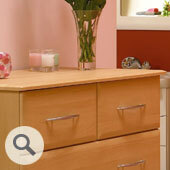 Please bear in mind that we do offer a lot more accessories and extras covering all your bedroom needs. Classic Cornice looks fantastic in a traditionally styled bedroom. When fitted the Cornice adds 62mm to the high of the unit. 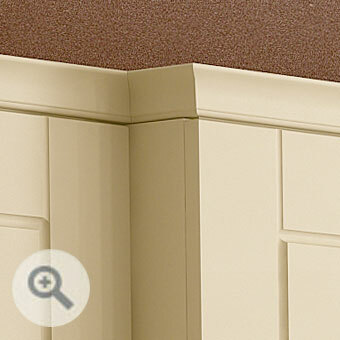 Universal Cornice Pelmet can be used as both cornice and pelmet. 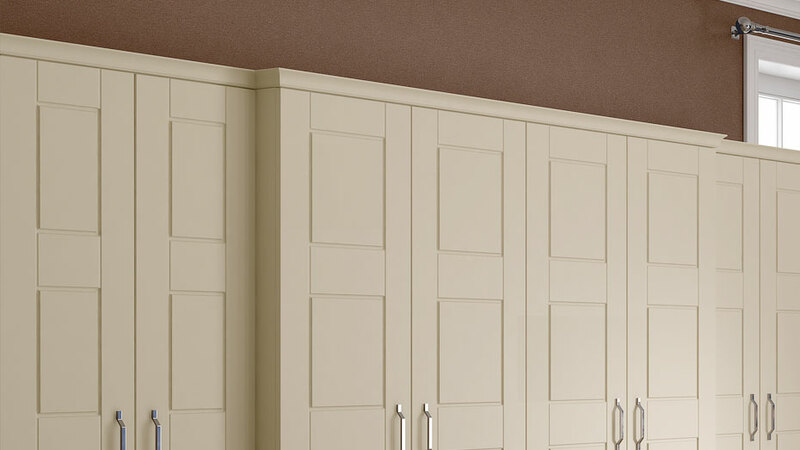 A simple but effective trim to finish off your units, especially when it is combined with a simple wardrobe door design like any of our Shaker ranges or plain designs like Premier Slab or Premier Duleek, etc. 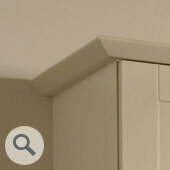 Univeral Cornice Pelmet is supplied in 3000mm lengths. 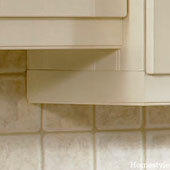 The Tangent Cornice is a modern alternative to the Traditional Cornice above. 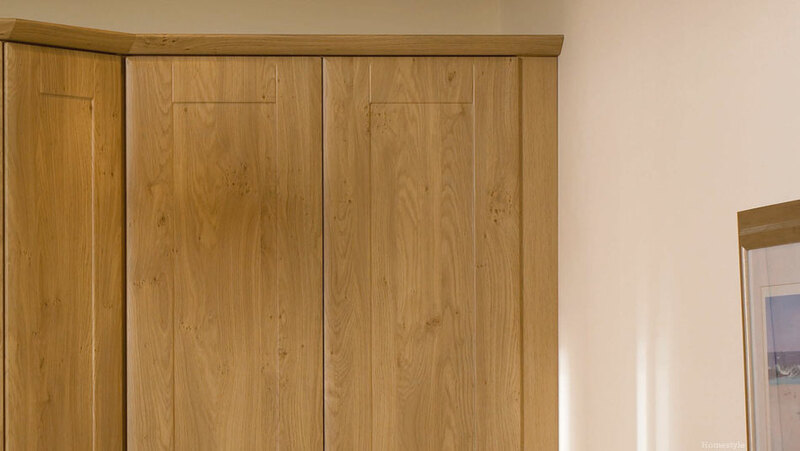 Protruding at roughly 45 degrees from the unit and 50mm high this smooth design much more compliments most wardrobe door designs. 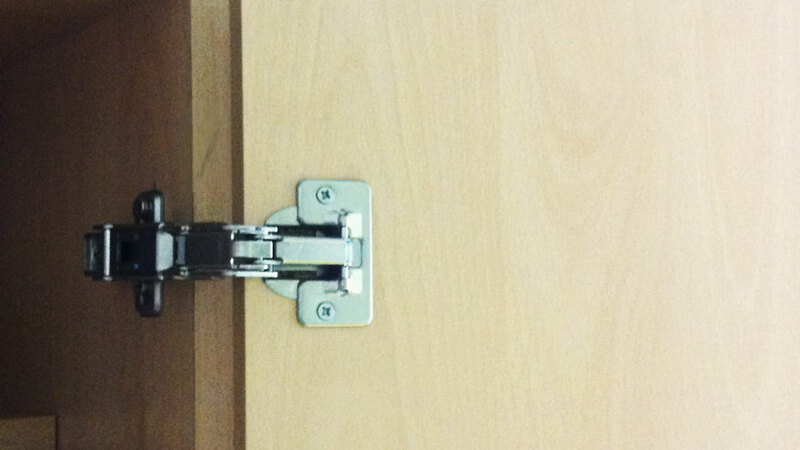 Edging Tape can be applied to the front edges of existing bedroom cabinets cupboards or panels so that they are the same colour as your new wardrobe doors and drawer fronts. 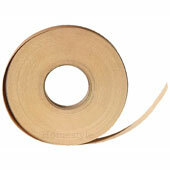 The Edging Tape is supplied with heat activated glue on one side. You simply hold the edging tape in place and press an old clothes iron against it. Once the glue has set you can trim the excess tape off using a sharp blade. The face and all four edges are vinyl wrapped just like the wardrobe doors. They are also the same thickness as the doors at 18mm. 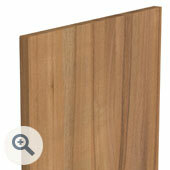 Plain Panels are perfect for use as end panels and in-fill (filler) panels. Please note that the panels have a small 2mm radius on the edges and corners. 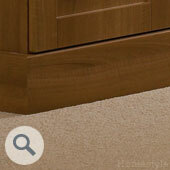 Bedroom Worktops are available made to measure. The top and all four edge's are vinyl wrapped just like the wardrobe doors. They are also the same thickness as the doors at 18mm. To order we need to know the width, the depth and which edges are to be profiled to match the door design. 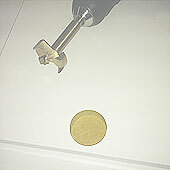 22mm thick worktops are also available for an extra 20%. 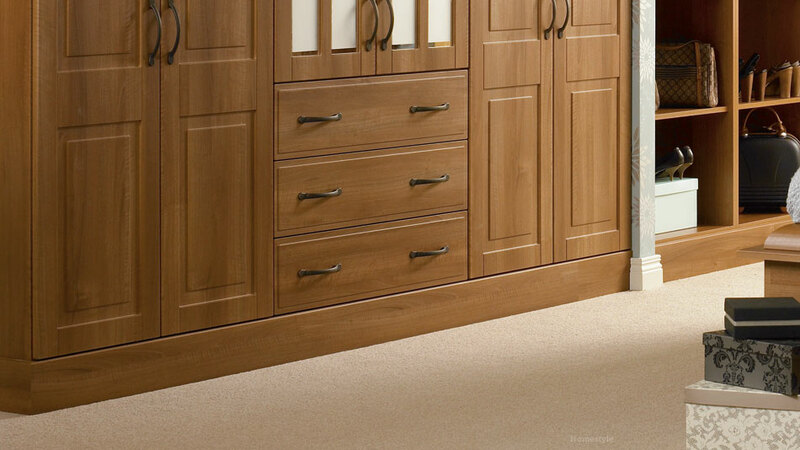 Bedroom Worktops available in ALL finishes. 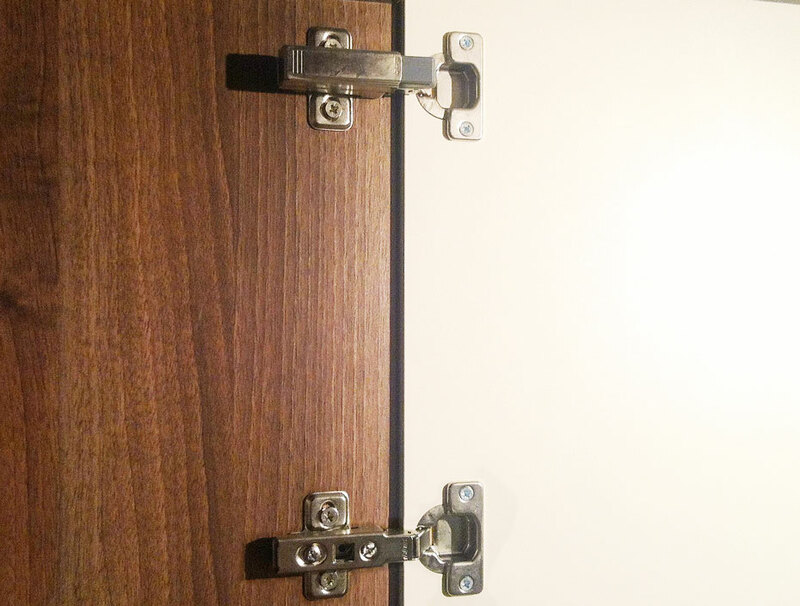 100 degree hinges open a little past a right angle. 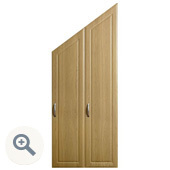 170 degree hinges open the door fully, therefore allowing more access to the wardrobe. 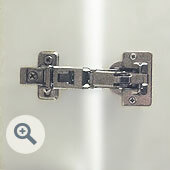 Hinge holes are 35mm in diameter and are found in the back of wardrobe doors. 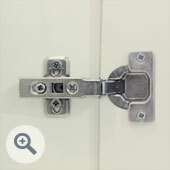 Hinge holes can be drilled in standard positions or you can specify how far up or how far down the door you would like the holes. 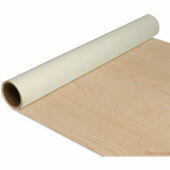 Self Adhesive Vinyl has a 'sticky back' and can be applied to most clean surfaces. 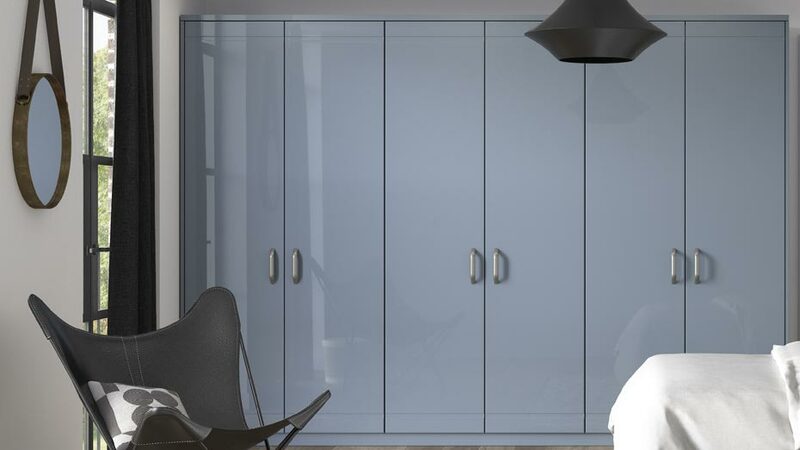 The vinyl will be an exact match for the wardrobe doors, drawer fronts and accessories. 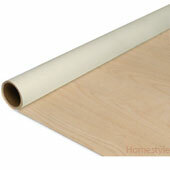 Unglued Vinyl is the same material that the wardrobe doors, drawer fronts and accessories are made from. 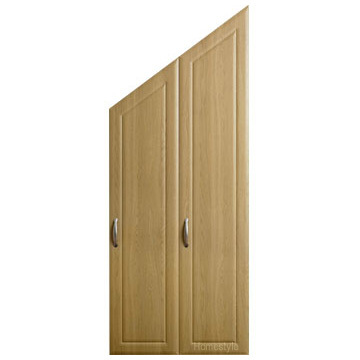 We can make most of our wardrobe door designs as Angled Doors. To order you will need to specify the width, the left height, the right height and, if required, the width of the flat section at the top. 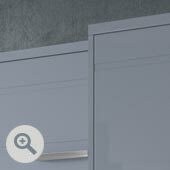 Angled Doors are available in ALL finishes. There is a 50% charge for turning a regular door into a Angled Door. Listed above are just our popular accessories. Many more accessories are also available. 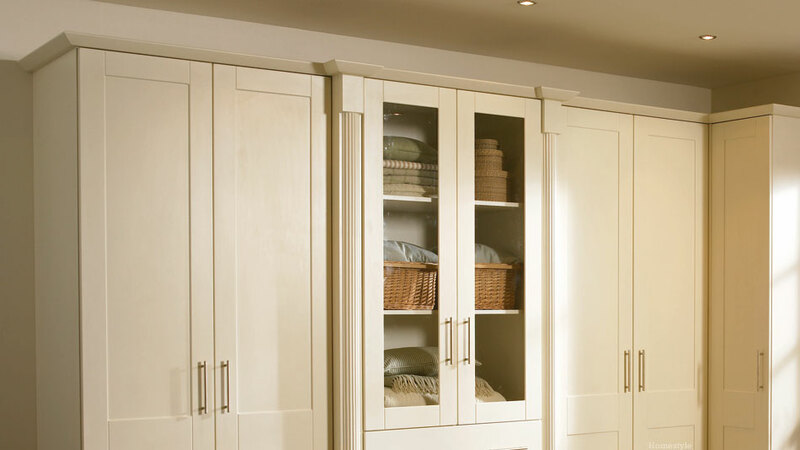 We supply a complete range of Curved and Shaped doors, Radius profile, Fluted rail, Fretwork, Arched pelmet, Profiled plinth, Corbels, Canopies, Headboards, Footboards, Plate racks, Pilasters, Alcove fronts, Mirrors, Pot racks, Chunky gables and many more.